I'm not sure if this is true for everybody, but my cake cravings tend to increase dramatically during the winter. It's like all I want are warm mugs filled with tea and a slice of something sweet and simple. I'm not talking about elaborate layer cakes with fillings and swoops of frosting (though those are lovely, too). I mean simple cakes. Plain cakes with just a one lovely single layer and perhaps a simple garnish--some toasted nuts, a drizzle of honey, a sprinkle of sugar. 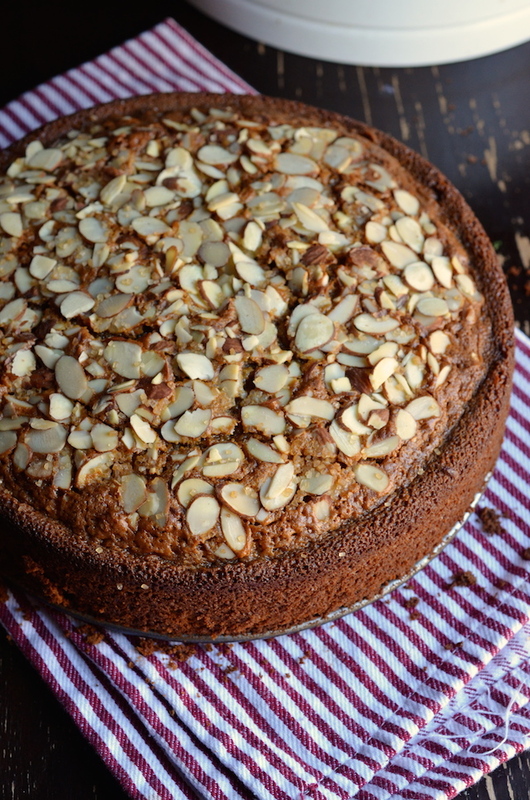 It's what I had in mind when I made this beautiful French Almond Paste Cake. It's adapated from a recipe by David Lebovitz, although I played around with the amounts a bit. I doubled the almond paste, using two full tubes of the stuff, and cut down on the sugar. For my version, I actually used coconut palm sugar, which is one of my favorite things ever. 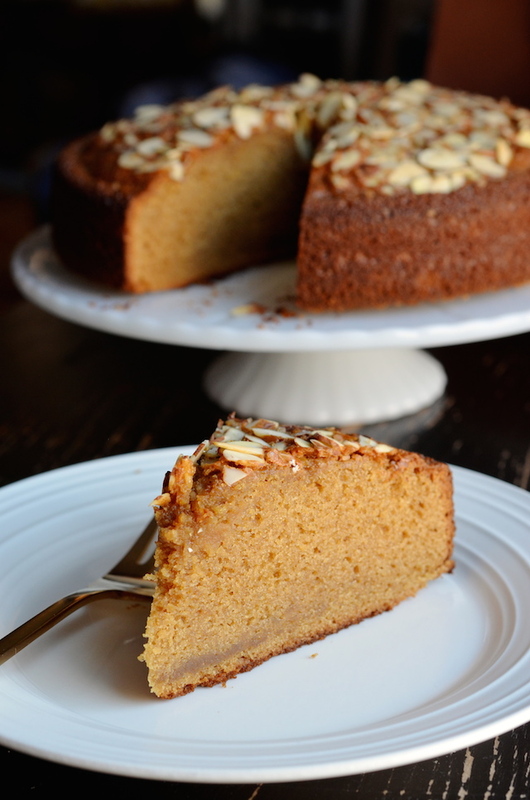 It's unrefined and nutty and not too sweet, and the thing that gives this cake this old fashioned shade of honey-brown. Note that if you use regular sugar (which you absolutely can! ), your cake will come out much lighter in shade. Both are delicious and recommended--it's really just up to what you prefer (or happen to have on hand). 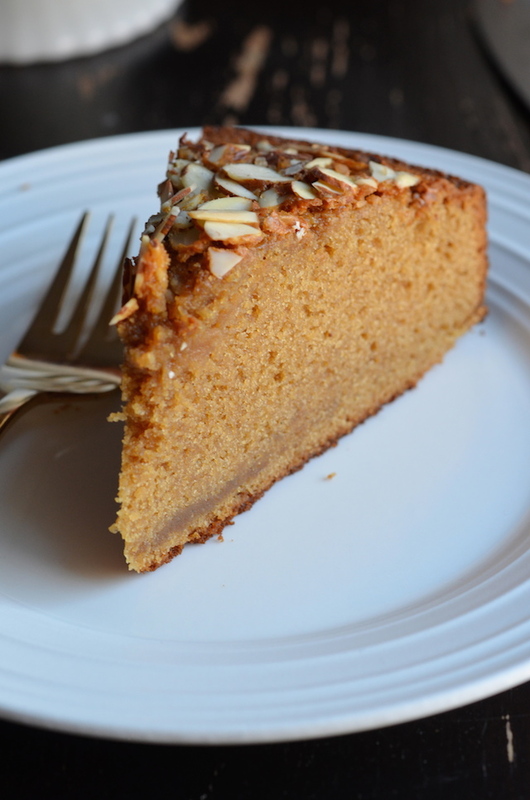 This is one of those cakes that tastes better the next day, so I recommend making it at night and saving it for the next afternoon or morning, if you're impatient like I am. It's just the thing for these dreary winter afternoons. Preheat oven to 325 degrees. Grease a springform pan and line the bottom with a circle of parchment paper. 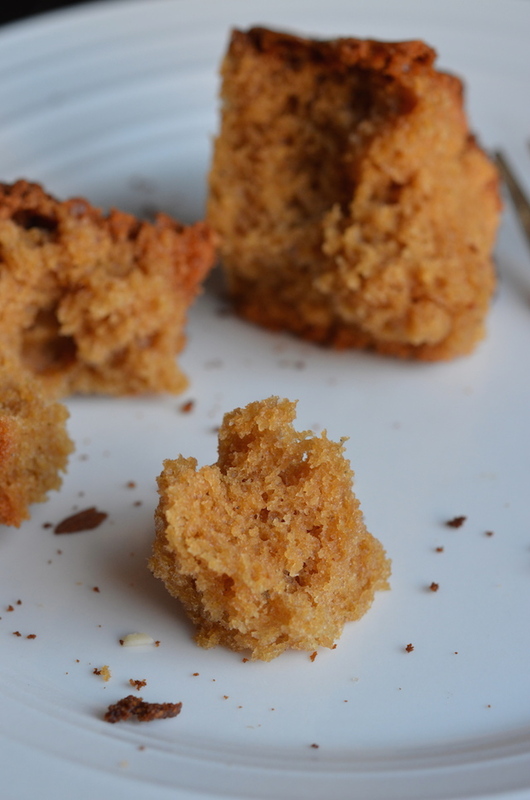 In a food processor, combine sugar, almond paste, salt, and half the flour. Process until ingredients are combined and the texture of breadcrumbs or clumpy sand. Add the butter and process 2-3 minutes until creamy, then add the six eggs and both extracts, and puree for another 2-3 minutes until completely smooth (the batter will be loose). Add the remaining flour and baking powder, and pulse a few times, just until evenly combined. Pour into the prepared baking pan, and cover with sliced almonds and raw sugar. Bake 45 - 60 minutes, or until the cake has set in the center and risen, darkened to a golden brown, and developed a few cracks on top. You should be able to press gently on the cake and have it pop back up. Let cool in the tin for about 10 minutes, then use a knife to loosen the edges and remove the sides. Let cool completely before transferring to a serving plate.